I don’t know whether to laugh or cry. I might pass out. I definitely need some wine. And maybe chocolate. The first draft of ‘Dying to Return’ is done. Done. BOOM. I knew it was coming…but it snuck up on me anyway. Sort of like a hungry cougar. The Muse has been hunting me relentlessly for the last few weeks and today, the Muse finally caught me – and the sharp teeth and long claws hurt. This is the end of my Piper’s story, told from her eyes. The Station will continue to have stories to tell, but Piper won’t be narrating. So yeah, I cried and laughed, because I finished something important (to me). 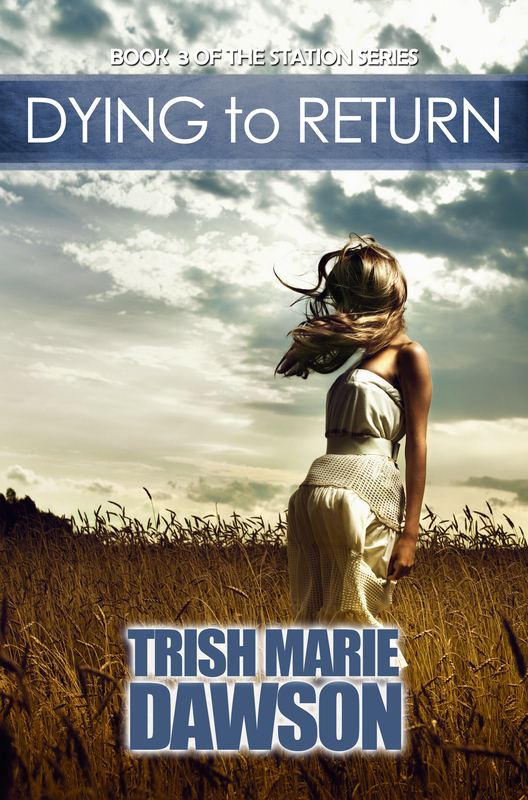 Dying to Return is the 3rd book in the Young Adult Fantasy, The Station Series. Piper Willow’s adventure in the afterlife continues as she struggles to discover who she is and what is expected of her. Faced with decisions that could change everything, she must weigh her desire to be with the ones she has come to love, or satisfy her curiosity and find out what lies beyond her world with someone new. What Piper experiences and the choices she makes could not only alter the delicate inner workings of the Station, but the delicate balance that Piper has managed to maintain inside herself. In the end, will it all be worth it? JUNE 28th – save the date! It’s very important to me also. I know I will cry when it’s over for Piper!